Unfortunately, I ended up with really mixed feelings on this one. I explain why in my video review where I give a spoiler warning to give you time to stop watching if you want too. 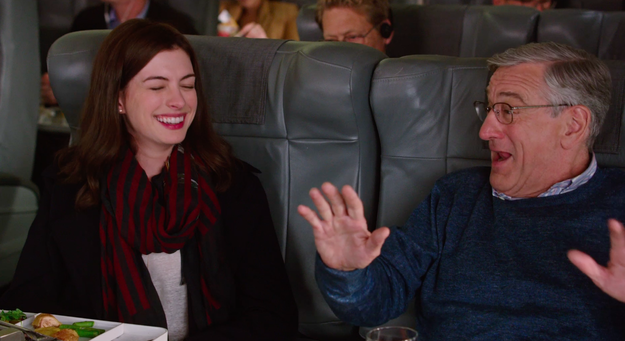 There are things I liked in The Intern. 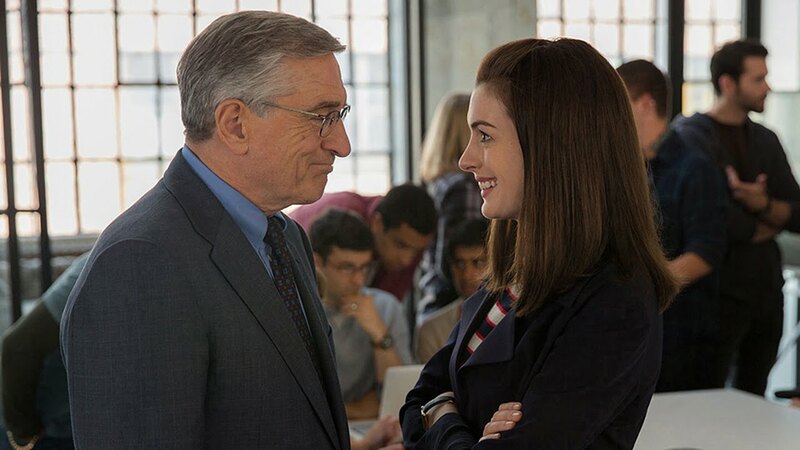 Robert Deniro and Anne Hathaway are really charming in their roles. Anne Hathaway’s Jules (a very romcomy name) felt to me like what Devil Wears Prada Andy might be doing at that phase of her life. She has a daughter and her husband is a stay-at-home Dad. 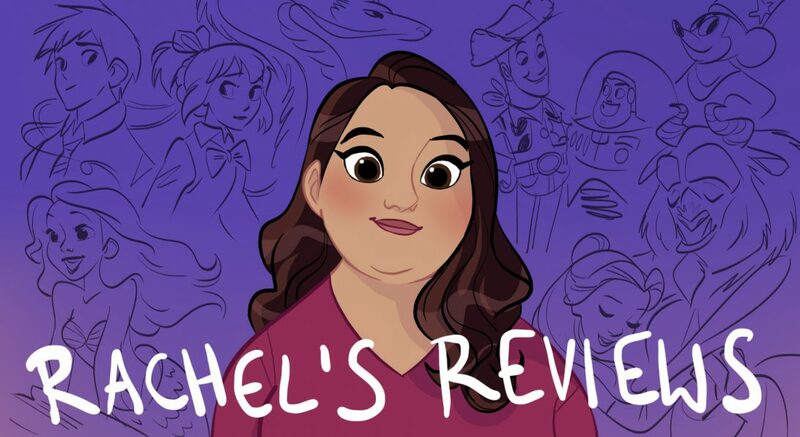 She runs an internet startup company that is new and hip and overwhelming her life. 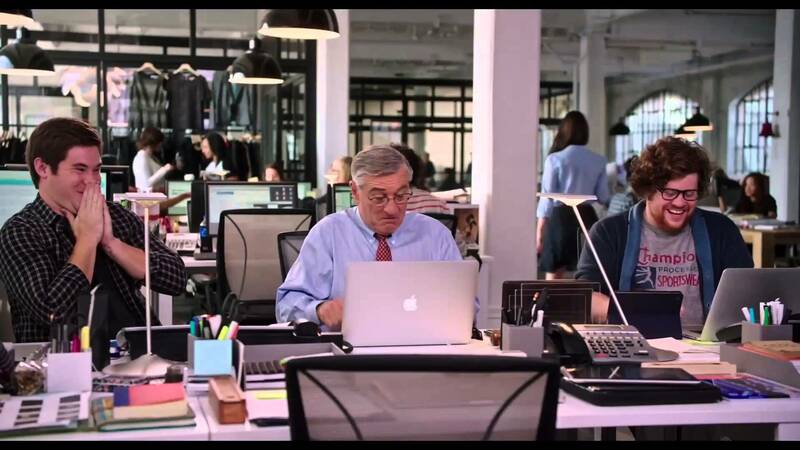 They decide to hire senior interns and Robert Deniro is bored with his life much like the guys in Walk in the Woods. So, he decides to apply and gets the job. Showing up in a suit and tie and carrying a handkerchief for all girl crying moments (seriously) he charms his way into the hearts of the entire office. However, that is also a weakness of the film. He really becomes kind of a senior citizen superhero. I’m all for having characters in movies that are good people but why not have one piece of advice he gives actually not apply to the new workplace? Wouldn’t that have been an interesting dynamic for both characters to absorb and learn from? I really liked the scenes with him and the other young men in the office but I also thought they could be a bit patronizing. Are young men really so stupid they need to be told to not show up for a new job in your pajamas? But they do work and I was charmed by them and I did laugh. Where the movie really had problems for me was in the conflict and resolution in Jules’ personal life and with her marriage. It is very spoilery but I go into it in a spoiler section in the video if you want to know. Basically I didn’t buy the way it was all resolved. I didn’t think it made sense for either character (both professionally and personally) and it was kind of a deal break for me on the film. So I like things about it but I think it could have been much better. It seems like a decent enough film from the trailers, but I honestly have no idea to see it. This is one of those films that I describe as if it’s at my local library one day and I wanna borrow a movie to watch and I have absolutely nothing else to choose from that day at the library, then I MIGHT give this a try!